It's orange season, the delightful time of year when the tree in our backyard goes nuts and produces oranges faster than we could possibly consume them. We are enjoying fresh-squeezed orange juice and oranges with most meals. It's a good problem to have. 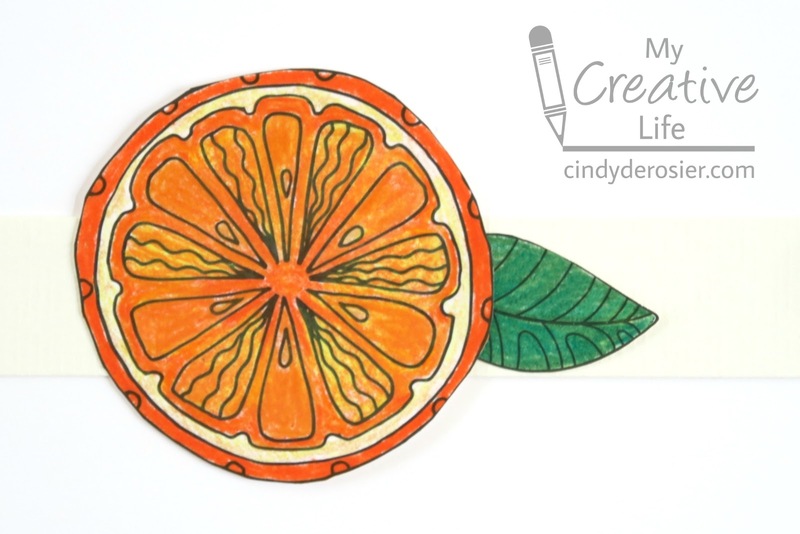 Color the page with the oranges on it. Use the scissors to cut out the oranges and some leaves (which are actually connected to the pears, but work just fine with the oranges). Glue an orange and a leaf to the strip of cardstock. 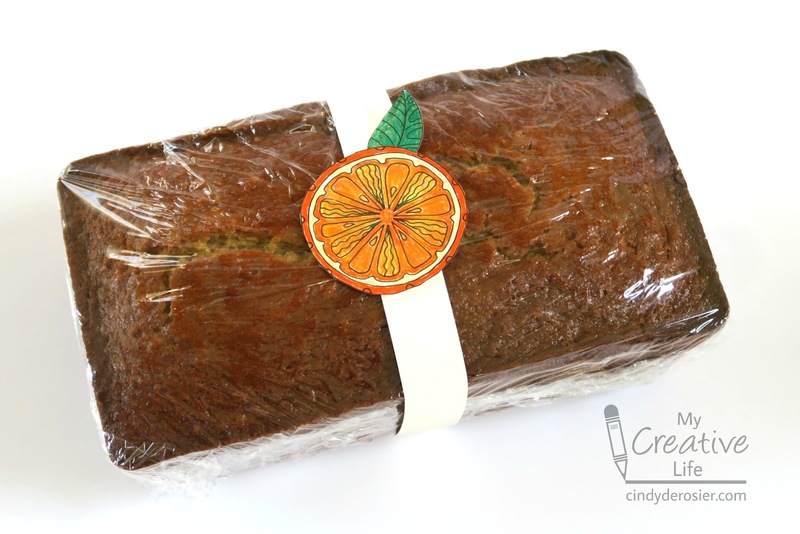 Wrap the cardstock strip around the bread and glue the ends together. Your gift is ready for someone special! Such a great idea!!! I love it!!!!!!!! !